Nature has provided us with a wonderful solution to effectively and safely maintain oral hygiene. Al-Khair Miswak is the root of the Peelu tree (Salvadora Persica) known in Arabic as Arak Research indicates that Miswak suppresses decay causing bacteria, gingivitis and plaque formation among many other benefits. 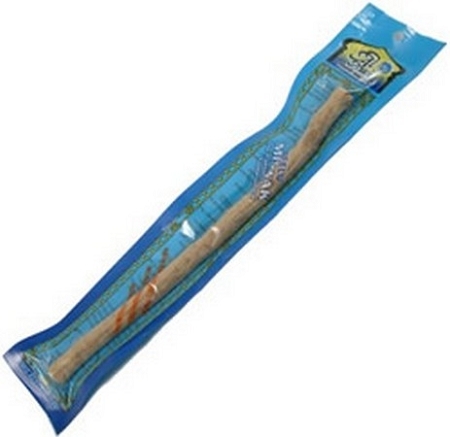 Miswak is a natural chewing stick taken from the roots of Slavadora Persica (also known as Arak Tree). The simple name of Arak Tree in Urdu is Peelu. Our Al-Khair Miswaak is used as a teeth whitener and besides teeth whitening and brushing; it also has many antibacterial benefits. In short, it provides TOTAL ORAL CARE SOLUTION. Approximately 6" inches. Vacum packed (blue). Scientifically as well, it has been proven that Miswak is very good for gums maintenance and it kills bad odour, overall, it improves your taste buds and makes your teeth whiter. Research also indicates that Miswak suppresses decay-causing bacteria, gingivitis and plaque formation among many other benefits. Natural way of brushing teeth. It is an organic product. Keep you safe against all teeth diseases. It has no harmful side-effects. We have been ordered now from Al-Rashad for a little over a year and love the quality of their products! Great customer service!